I’d like to welcome fellow Liquid Silver Author, Vanessa North, to Muse Wednesday. Let’s see what book and author inspired her to write. 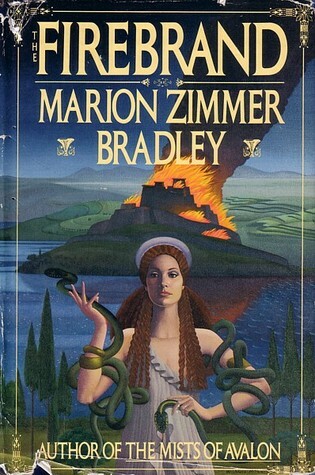 As a young bibliophile, I devoured every book I could find, especially those dealing with science fiction, fantasy, or mythology, and The Firebrand, by Marion Zimmer Bradley, was one of the first books to really change my life. It’s not as well known as the MZB’s Mists of Avalon, but the Firebrand and I had a long love affair–I re-read it over and over again, and I still, twenty-something years later, take out that same battered hardcover and turn it’s tear-stained pages looking for a little magic from time to time. The Firebrand tells the story of Kassandra of Troy, who was cursed to always speak the truth, and to never be believed. What was it about this book that captivated me so completely? I was maybe twelve years old the first time I read it. I was only beginning to understand and see the injustice of being a woman in a world governed by men. The sturdy feminist spark in the book called to me, and I answered it. I began, at that young age, to see myself as a feminist. However, in addition to feminism, there was also adventure, war, love, passion. There was the tragic bromance of Achilles and Patroclus. The Centaurs and the Amazons. Petulant gods and goddesses warring over the island of Troy and its people. It was the story of women in a man’s world, told from a place of both privilege–Kassandra was a princess, after all–and oppression–princess or no, Kassandra was a woman. When I began writing, I found the stories I wanted to tell were often stories of strong women in a man’s world. A sturdy feminist spark that was lit when I was just beginning to understand gender inequality has carried forward into my own work. It was no coincidence that I named my first novel “Amazon” in homage to the strong warrior-women in The Firebrand. It should come as no surprise to any who know me that very often the heroines of my story are fighting to take or hold a position of power in a male-dominated society, be it the werewolf society in my Ushers series, or the deep space military in Fight or Flight. The Firebrand was named for Paris, the prince whose fate burned Troy, but it lit a spark in me, a shy girl with a love of books, and that spark burns still. 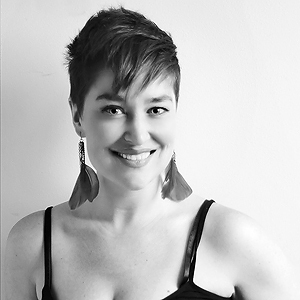 Vanessa North was born in New England, but moved to the south as a teenager. She reads voraciously, writes obsessively, and takes thousands of photos of the people she loves. She lives in Northwest Georgia with her husband, twin boy-children, and a pack of dogs. ~ by Monette Michaels on December 12, 2012. Jackie!!! You are so sweet, thank you so much, it means so much coming from you! Thanks, Vanessa, for being my guest today. We sci-fi geeks need to stick together. Hugs. Thanks for a great post. The Cassandra myth has always been one of my favorites. I actually wrote a short story about her, The Oracle, that was published in 2010. Mythology holds a universal appeal because it employs archetypes to tell stories. There’s a bit of nearly every archetype in each of us, so that makes it easy to relate to stories featuring them. One of my other favorites is the Innana story about descent and redemption. It’s not nearly as well known, but aside from Gilgamesh, it’s probably the oldest story we have.